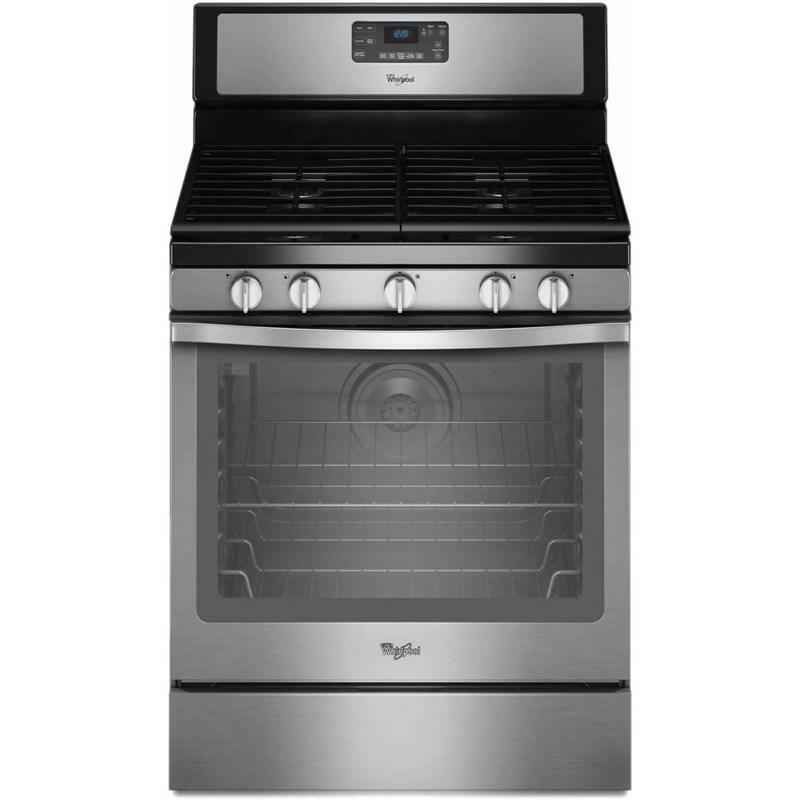 Whether it's dinner for two or a family of four or more, Whirlpool's large capacity freestanding gas range has the space and performance you need to cook all of your favorites. With 5.8 cu. 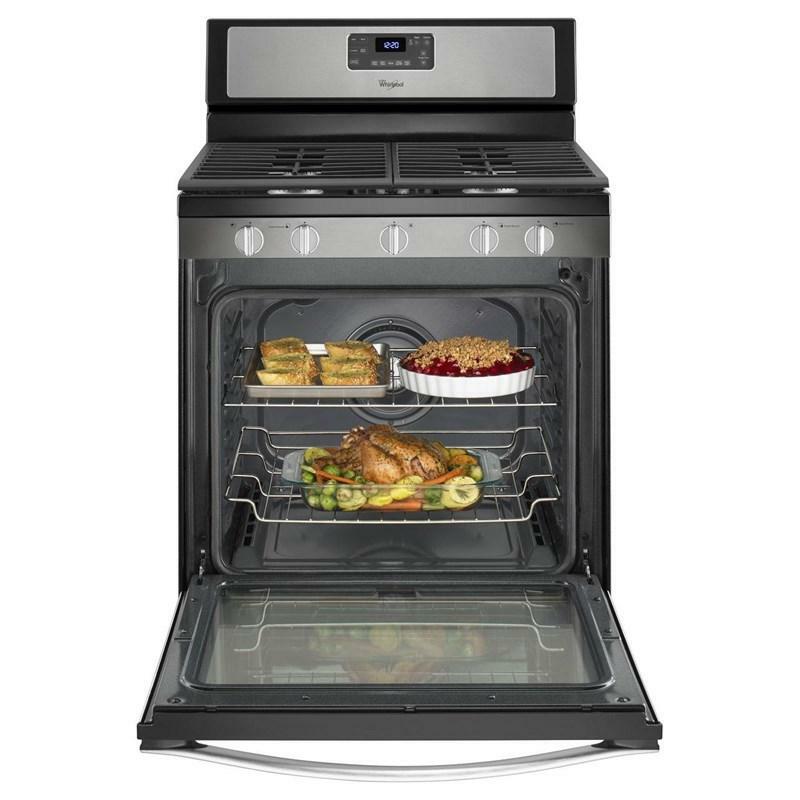 ft. and fan convection cooking, you'll be able to bake on any rack with flavorful results. 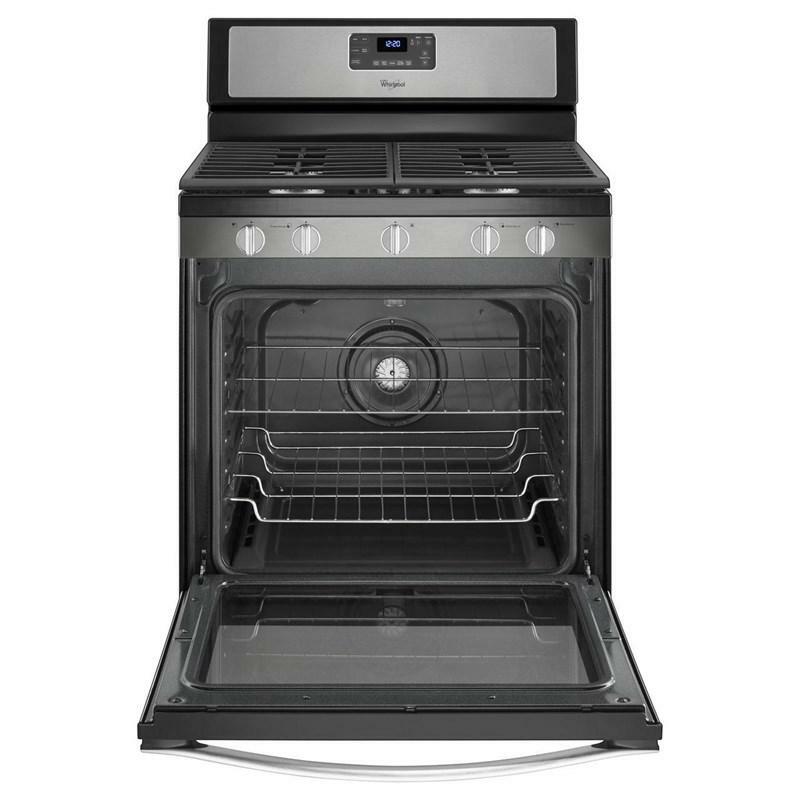 The gas range's cooktop features a 17,000-BTU SpeedHeat™ burner that quickly boils water and a center burner that gives you space to cook up to five dishes at once. And thanks to our edge-to-edge cooking grates, sliding large cookware from one burner to the next is easy. Their secure design makes cooking with large pots and pans seamless.